During my first walk about Porto yesterday afternoon [4 February 2019], I visited Porto’s Cathedral or the Sé do Porto, an historic landmark in the old centre where the city was born. 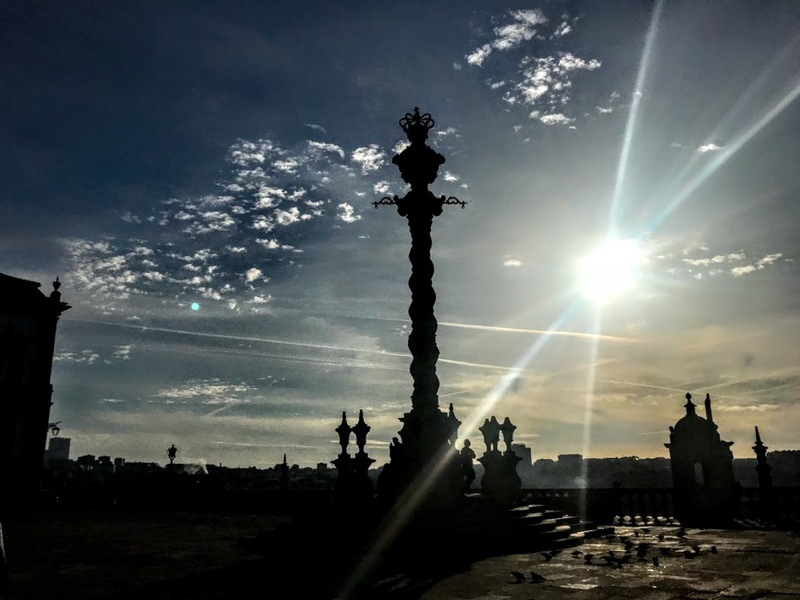 Built on the highest point in the city, the Sé is the most important church building in Porto. Set on a rocky outcrop, it looms above the Morro da Sé, the oldest district in Porto, with its narrow streets, old houses and shops, and residents whose families have lived here for generations, surrounded by the old city walls. 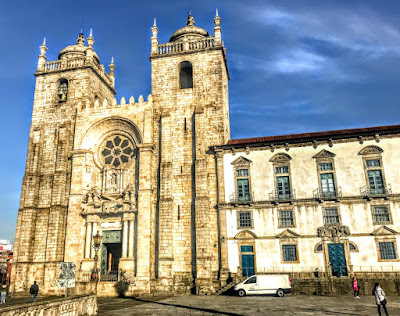 There is evidence that Porto was the seat of a bishop from the fifth and sixth centuries, and a pre-Romanesque church is mentioned in De Expugnatione Lyxbonensi as still standing in 1147. 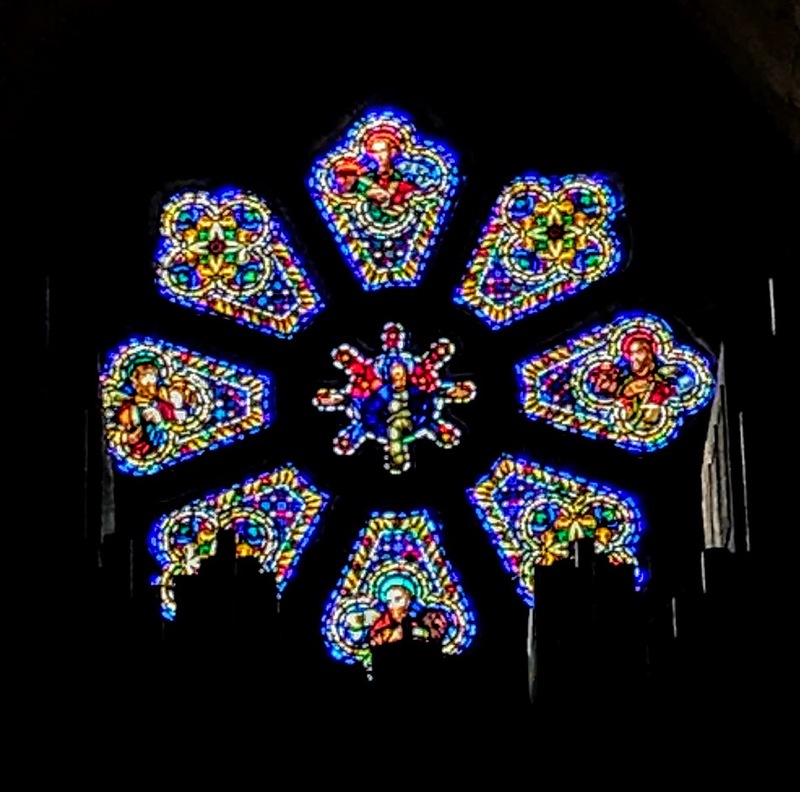 However, it is said the cathedral was first built by Bishop Hugo, a French bishop who came to Porto before Portuguese independence, around 1113-1136. The large square around the cathedral was the centre of commerce and trade in the city in the Middle Ages. Here in 1147 the crusaders from northern Europe agreed to join the Portuguese army and help King Afonso Henriques in the conquest of Lisbon, then held by the Moors. The present Romanesque cathedral was started in the second half of the 12th century, and a second stage of building work began under Bishop Fernando Martins (1176-1185). Craftsmen from Coimbra worked under the guidance of the Master Soeiro Enes who was responsible for the high capitals of the nave. The cathedral was rebuilt and renovated many times throughout the centuries and continued constantly into the 16th century. This explains why it is a mix of architectural styles. It is predominantly baroque in style, but the façade and the nave are Romanesque and the cloisters and one of the side chapels are Gothic in style. The cathedral is flanked by two square towers, each supported by two buttresses and crowned with a cupola. The façade lacks decoration but has a baroque porch and a Romanesque rose window under a crenellated arch, giving the impression of a fortified church. Inside, the Romanesque nave is narrow, reaching up to high by barrel vaulting. The large pillars make the nave seem narrow with a high ceiling. The decoration is restrained, with bare walls and only the high altar and some of the chapels are decorated in a Baroque style. The nave is flanked by two aisles with a lower vault. 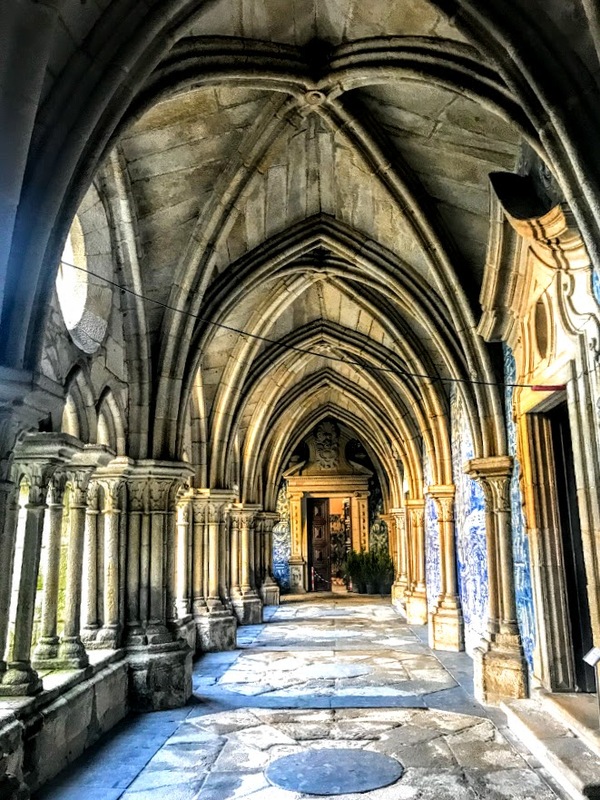 The stone roof of the central aisle is supported by flying buttresses, making the building one of the first in Portugal to use this architectural feature. The present chancel replaced the romanesque apse, which was torn down in the 17th century. 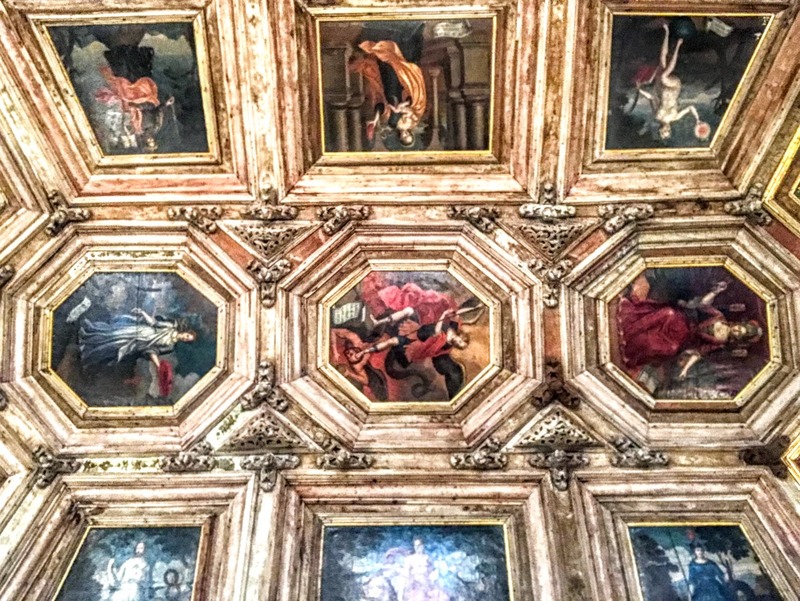 The new chancel was built in the mannerist style by Bishop Goncalo de Morais (1606-1610), later decorated with new wall paintings by Nicolau Nasoni and choir stalls. 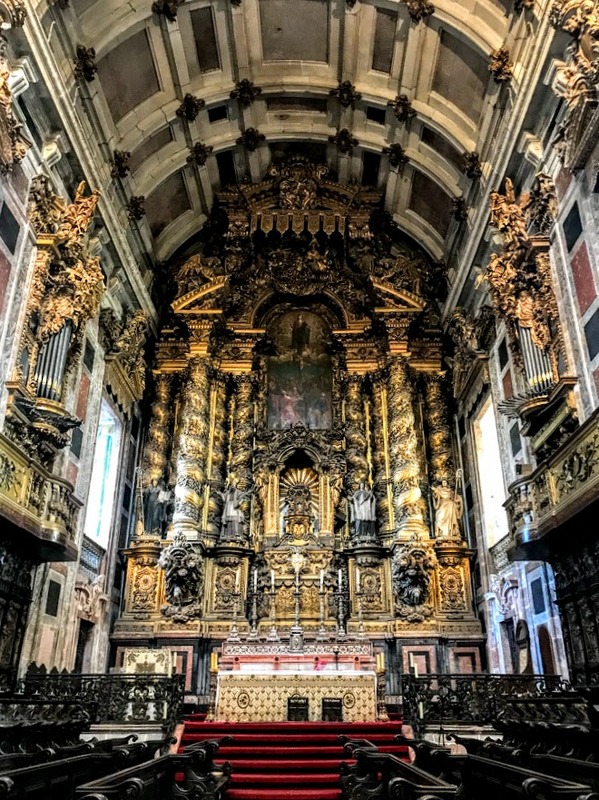 The carved altarpiece, designed by Santos Pacheco and executed by Miguel Francisco da Silva between 1727 and 1729, is an important work of Portuguese Baroque. 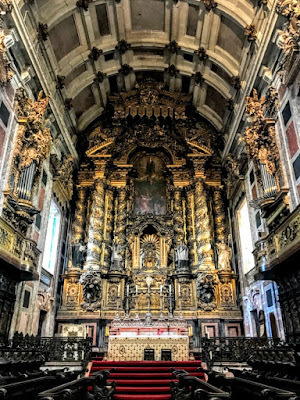 The magnificent silver altarpiece in one of the transepts was built by the Porto silversmith Pedro Francisco ‘The Frenchman’ in 1676-1682. 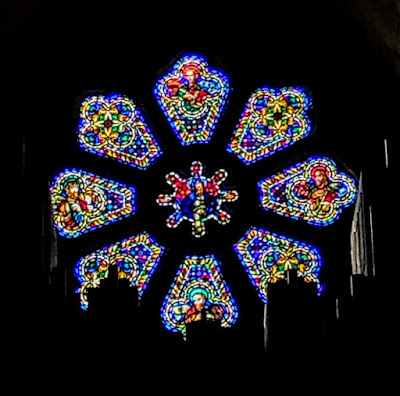 It is decorated with four panels, with large oval medallions depicting the four evangelists. In the upper frieze, smaller medallions represent the Doctors of the Church, the Wedding at Cana, the Disciples at Emmaus, Christ served by Angels, and Martha and Mary with Christ. The baptistery includes a bronze bas-relief by António Teixeira Lopes, depicting the baptism of Christ by John the Baptist. 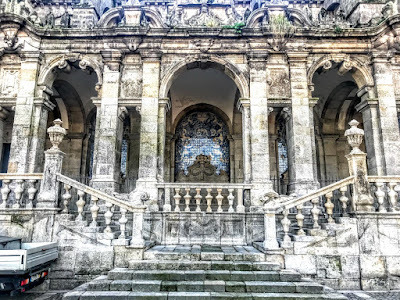 The Italian architect Nicolau Nasoni added the elegant Baroque loggia to the north side of the cathedral in 1736. The external appearance of the cathedral was greatly altered in the decades that followed. A new main portal replaced the old Romanesque doorway in 1772, and the tower cupolas were altered. The baroque roofs were added later, as well as the west door and the loggia outside the north wall of the cathedral, designed in the 18th century by Nicolau Nason. Later additions continued into the 20th century. During the War of the Oranges in the early 19th century, while the battle at Amarante was taking place, a group of Spanish soldiers briefly took control of the cathedral before being overcome by local residents. The entrance to the cloisters is inside the cathedral through a door on the south side at the west end. 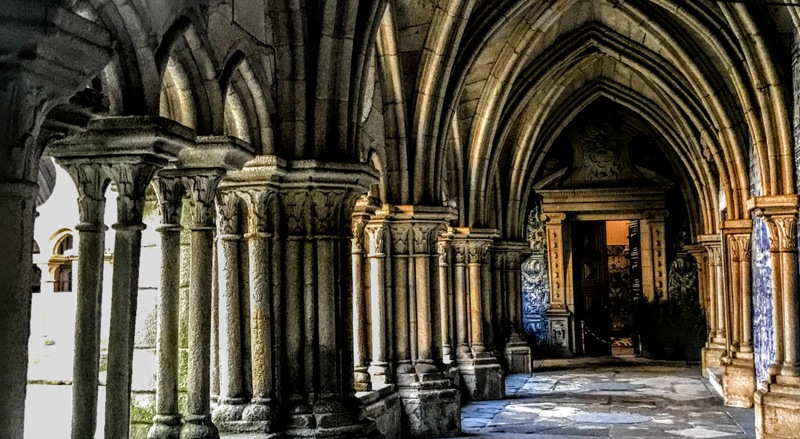 The elegant Gothic cloisters were built in the 14th and the 15th centuries, during the reign of King John I, who married the English princess, Philippa of Lancaster, daughter of John of Gaunt, in Porto Cathedral in 1387. 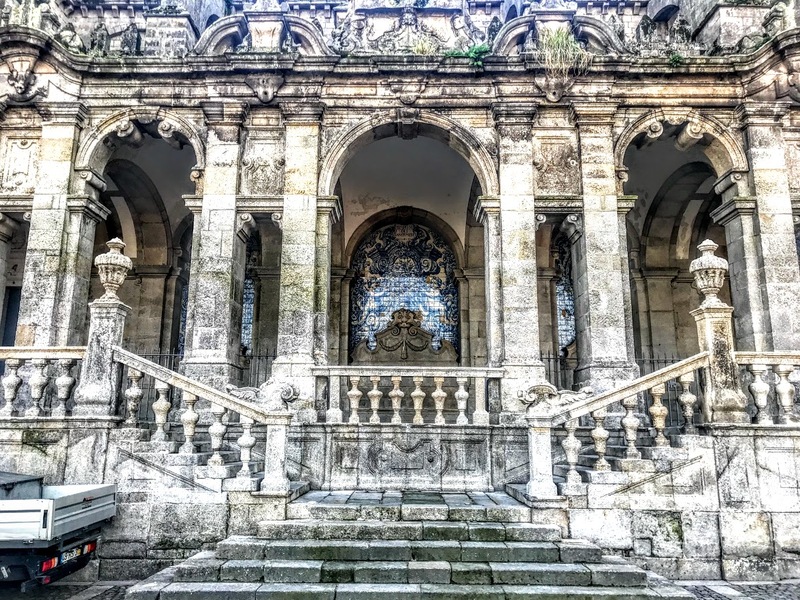 The cloisters were decorated with baroque azulejo tiles by Valentim de Almeida between 1729 and 1731. 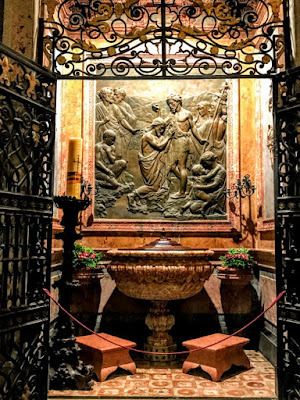 They depict Biblical scenes from the Song of Songs, the life of the Virgin Mary and Ovid’s Metamorphoses. A mediaeval cross stands in the centre of the cloisters. The Gothic funerary chapel of João Gordo was added around 1333. He was a Knight Hospitaller who worked for King Dinis I, and his tomb is decorated with his recumbent figure and reliefs of the apostles. From the cloisters, I had access to the Casa do Cabildo or Chapter House. The coffered ceiling of the chapter house was painted with allegories of moral values by Giovanni Battista Pachini in 1737. The Cathedral Treasury includes a collection of sacred vessels and vestments. The 18th century palace in the square is the residence of the Bishops of Porto. The column in the middle of the square in front of the cathedral marks the former site for hanging criminals. The square also offers impressive views over the city, the Douro River and the wine cellars on the waterfront. Mass is celebrated in the cathedral each day at 11 a.m.